If you are a research science professional, and spend at least part of your time on a university campus, you will want to take look at the newest in life science products on display at Top Universities Nationwide. 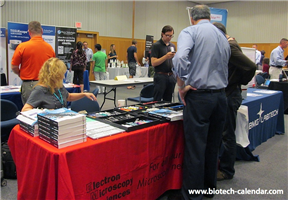 At Biotechnology Calendar Inc™, we produce life science events at universities throughout the U.S. to help you keep up with the latest innovations and technologies from laboratory research companies. Friendly, professional, educational, environment, where your questions are welcomed. Highly interactive exhibitors - Where exhibitors gain recognition for service excellence thorough our five star program. Which means you the researcher are more likely get your questions answered in a polite professional manner. A high quality catering experience with a diverse and filling selection of foods for all attendees. 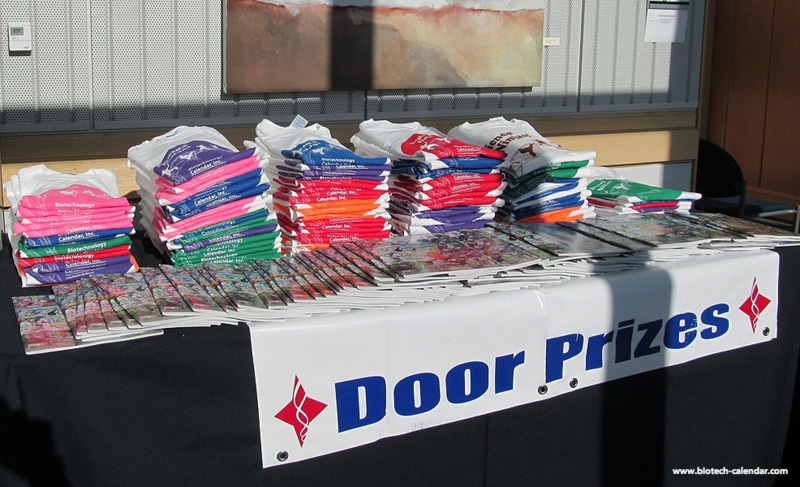 Fun door prizes, photo opportunities, card stamping, and a friendly professional experience. If interested in seeing a full list of exhibitors who often attend our shows, please follow this link. Providing a free global science seminar and event database. Any researcher can submit science seminars, events, conferences, symposiums, and meetings to our database. Offering over $200,000 of free advertising and publicity to non-profit research groups each year. Providing free exhibit space to non-profit organizations at our events upon request and space availability. By creating science researcher social networks on: Facebook, LinkedIn, and Twitter. By offering a free information resource in our Science Market Update blog featuring: free funding, new research projects, and facility developments. By having a Corporate Update Blog to keep you up to date on our latest company and industry news. Sponsoring usage of campus facilities. Sponsoring all catering items offered to researchers and exhibitors. As well as promoting science market update news about your campus research programs, campus growth, and campus development. We offer door prizes and gifts in accordance with on campus policies. Following a 28 point safety checklist for each event. Making sure each event is approved by your fire marshal. By following all purchasing department requirements and policies. So, take a look at our 2013 schedule of events and register early (its free) for the event nearest you. If you do not yet have an event scheduled for your location, please click here if interesting in requesting one.